Seat's midsize SUV will take styling cues from the 20V20 concept unveiled at the 2015 Geneva auto show. Volkswagen Group's Spanish brand Seat is asking the public to help choose a name for its new midsize SUV. The SUV must be named after an area in Spain and it must also be easy to pronounce in different languages, Seat said in a statement. Seat has been a chronic money loser for VW Group and Seat has said that its growing SUV range is crucial to keep it in the black after the brand returned to profit last year following 11 years of consecutive losses. Seat CEO Luca de Meo wants SUVs to account for 30 percent to 35 percent of the marques's global sales, up from 5 percent last year. In a recent interview with Automotive News Europe, de Meo said a midsize SUV would help move Seat to the "next level." Since Seat launched the Ronda in 1982, Spain's geography has provided the name of a total of 13 brand models including the Leon and Ibiza. The midsize SUV will be number 14 on the list. It is due to go on sale in 2018 and will sit above the compact Ateca and the upcoming Arona subcompact. 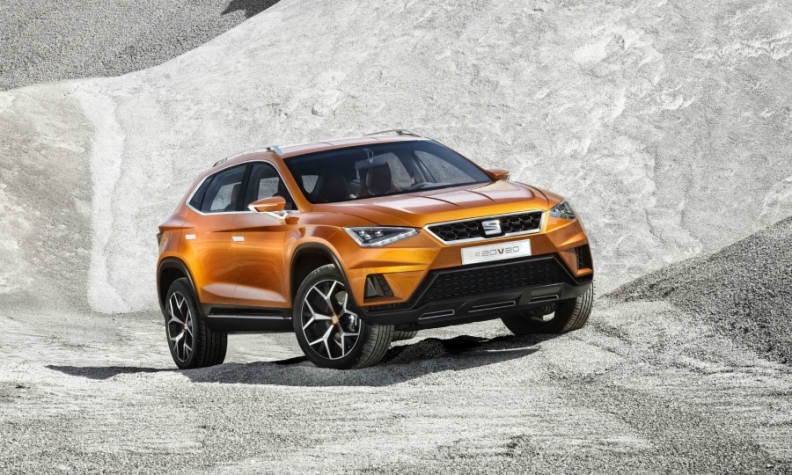 From now until 22 June, Seat representatives and customers focus groups will suggest names for the new SUV. Entries will be shortlisted to at least three names that will be announced in September at the Frankfurt auto show. A final public voting will be take place from September 12 to September 25 to select the favorite entry among the chosen finalists. Seat will reveal the name of the company's new SUV by October 15. Further information can be found on Seat's website here.